The Japan earthquake (9.0) rates in the top four with the 1952 Kamchatka quake, the 1960 quake in Chile with 9.5, the Alaska quake in 1964 with 9.2 and the Sumatra quake in 2004 with 9.1. I’ve visited Tokyo and the surrounding areas a number of times and want to express my sympathy to those affected by this tragedy during what can only be described as very painful times. Faced with the horrific news and pictures from Japan, everybody wants to do something, and the obvious thing to do is to donate money to some relief fund or other. Or if you prefer something different (I’m not making this up) someone set up a well-intentioned “Socks for Japan” drive. I’m not insensitive to the nuclear dangers, but the tragic loss of life and destruction caused by the earthquake and tsunami will likely dwarf the damage caused by the problems associated with the nuclear plants, however, the media is now doing a “Charlie Sheen” minute-by-minute obsession with these plants. According to a number of reports (including the more negative HERE) the Japan situation isn’t going to be another Chernobyl. And speaking of Chernobyl, next month marks the 24th anniversary of the Chernobyl (April 25, 1986) accident. Back in 2009 I blogged about the Chernobyl Motorcycle Ride and due to recent events in Japan it seems to be getting a lot of hits. Unfortunately. But I’ve digressed. From March 14 through 20, Honda will suspend regular operations at all Honda facilities in the Tochigi area, where damage was more serious, (including Tochigi Factory, Honda R&D Co., Ltd. R&D Center (Tochigi) , Honda Engineering Co., Ltd., etc. ), and focus on the recovery of each operation. Honda associates will not come to work during this time. Yamaha: reported one employee injured and sections of the roads surrounding their Motor Sports facility had collapsed. Wild Road Choppers: the owner Souji Abe is located in Sendai City and while he personally is safe the damage to the area where his shop is located is clearly extensive. In addition there is unofficial word about the Japanese Grand Prix which was to be held April 24th at Motegi is being reviewed and dependent on the Mobilityland complex and physical structure may get cancelled. 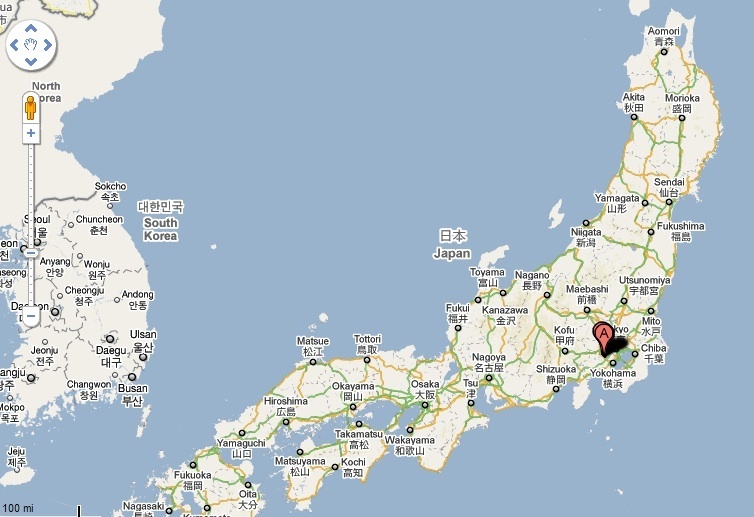 For reference, Motegi is about 110miles from Sendhai (near the epicenter) and Fukishima, where the damaged nuclear reactors are located is about 75miles north of Motegi. The area of Japan affected by the earthquake and tsunami produces around 4.1% of the country’s GDP, suggesting that first-round economic effects could be limited, yet at this stage, with the fate of the Fukushima nuclear reactors still unclear, it’s too early to come up with any meaningful estimates of the overall impact to the motorcycle community. My thoughts and prayers are with the survivors and the families. UPDATE: March 25, 2011 – A couple of weeks after all the destruction in Japan some of the motorcycle manufactures have reopened with limited production. A good report HERE at Power Sport News.